With Pagelyzer you can easily monitor dynamically changing web content. You can use Pagelyzer to optimise services for web harvesting, but also for other application contexts such as format obsolescence detection and (near) duplicate detection. 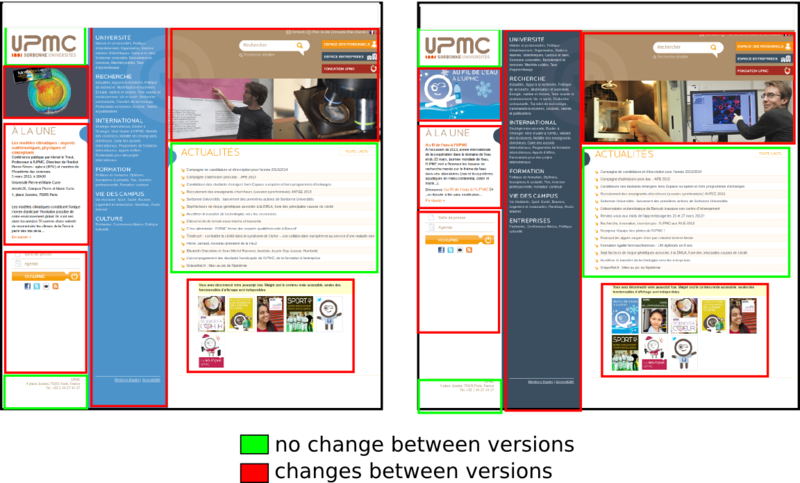 Pagelyzer can also compare web page versions by taking visual aspects like layouts into account. helping to determine the appropriate frequency of crawls for web harvesting using browser screen shots. Pagelyzer is based on a supervised framework that learns the necessary parameters and functions for different types of comparison. Cut costs and enhance efficiency. Pagelyzer has been successfully tested at the Internet Memory Foundation.